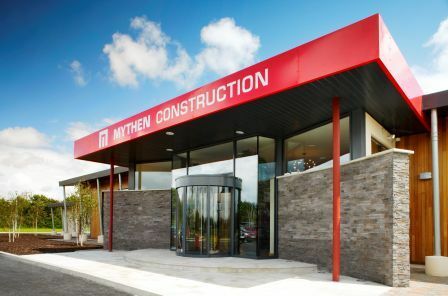 Why Work at Mythen Construction? When you work with Mythen, you are part of a close-knit team. Our employees love what they do, and they tend to stay here for many years. We are the kind of team that enjoy each other’s company and respect each other’s skill. Our employees care about the job. We keep up on the industry and bring new ideas to our clients and team. If you like ideas, challenges, and working with a small but absurdly talented group of people in a rapidly evolving environment, we want to hear from you. Competitive salaries, benefits and all the usual holidays. We have our own purpose built office located in Foulksmills, County Wexford. Our headquarters are modern and comfortable, with exceptional views of the countryside. We take care of our employees. We want you to take and enjoy your lunch break. We have a nice kitchen and seating area for staff. You can even take your lunch on our deck in the warmer weather. On Fridays, you can look forward to baked treats brought in at break time. Please note that all positions require you to be able to speak (and tell jokes in) fluent English, and some positions require that you live within commutable distance of our office in Foulksmills. We are seeking a degree qualified Project Quantity Surveyor with 5 years + main contractor experience. The position will be based at Head Office (Wexford) with site visits as required. Take control of, and manage from inception through to completion various projects depending on size and complexity. Assist in the preparation of initial budgets and cost plans. Prepare works tender packages, analyse and compare on quotations received, make recommendations for appointment. Complete sub-contract documentation in accordance with company procedures. Manage work packages from appointment through to final account including certifying payments and issuing the appropriate notices as required by the sub-contract. Monitoring works packages against budget, assessing variation claims and preparing reports for Client. Final account submissions, assessment and negotiations. Are you currently living in Ireland? Do you have GCCC experience? 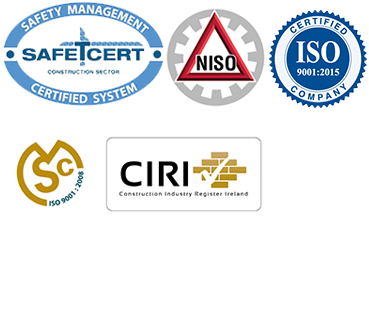 Have you worked for an Irish Contractor 5+ years?